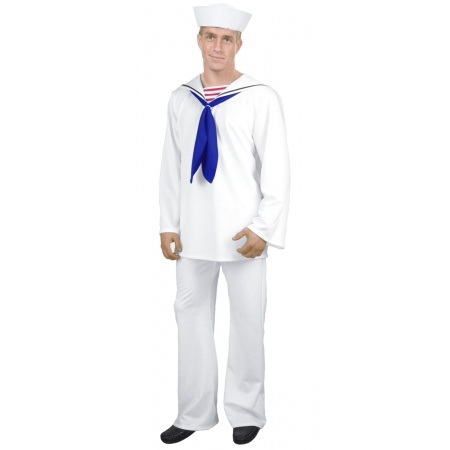 Our mens sailor costume includes a white sailor shirt, white pants, and matching sailor hat. 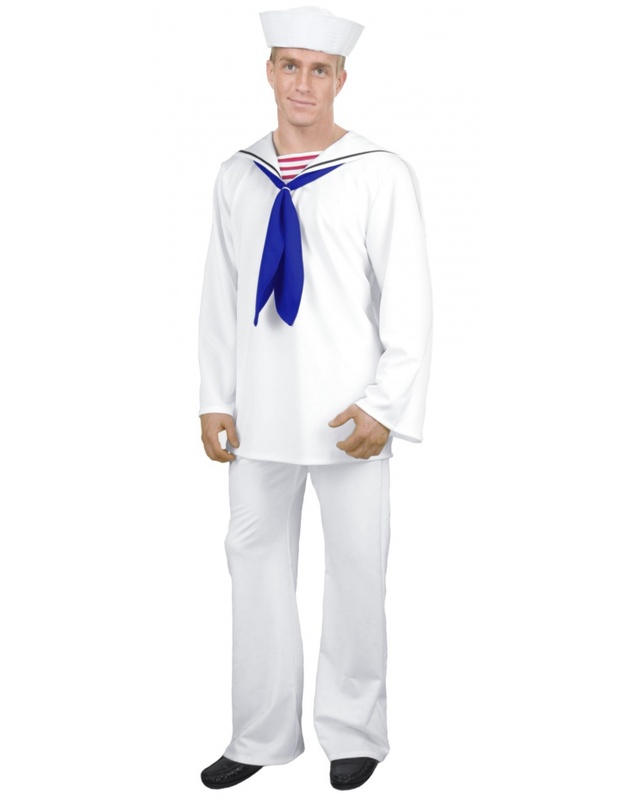 This mens sailor costume comes in adult sizes Medium, Small, X-Small, X-Large, Large. Couples costumes idea: Match this sialor guy costume with a pretty mermaid costume for women. This sailor Halloween costume is perfect for these costume themes: Military, navy, 1940s, WW2 (World War 2), or 1970s Village People.